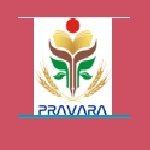 Pravara Rural College of Pharmacy, Ahmednagar is an institution established in the year 1981. The goal of the college is to educate and train pharmacists to cater for the needs of rural students. The pharmacy college is affiliated to the University of Pune and is recognized by All India Council for Technical Education (AICTE), New Delhi. The college campus is situated in Loni, Ahmednagar which is well-connected by roads with all major cities. It is located near Shirdi. Loni is 26 km from Shirdi. The college is situated on National Highway Nasik-Sangamner-Ahmednagar route. To reach college, the nearest railway station is Manmad (85 km) and the nearest airport is Aurangabad (110 km). In the campus professionally experienced and technically qualified staff are available. Facilities provided by the college are such as Spacious digital classrooms with audio-visual aids, spacious and technical modern laboratories, free broadband internet facility round the clock with Wi-Fi campus, library with national and international books and journals with e library facility, sophisticated hostel for girls and boys is provided in the campus and various others facilities. The Training & Placement (TPC) assist students for industrial training and on-campus recruitment. The students of the college are selected in campus interview regularly conducted by reputed pharmaceutical industries like Cipla, Macleods, Ranbaxy, Lupin, Mylan, Emcure, Glanmark, etc. The cell also provides guest lectures by eminent personalities from industry and institutes.